A unique spin on the rehearsal dinner: Instead of supper, try a mid-day fête! Natalie, owner and lead designer of Natalie Scott Events, is known for her signature organic design style. 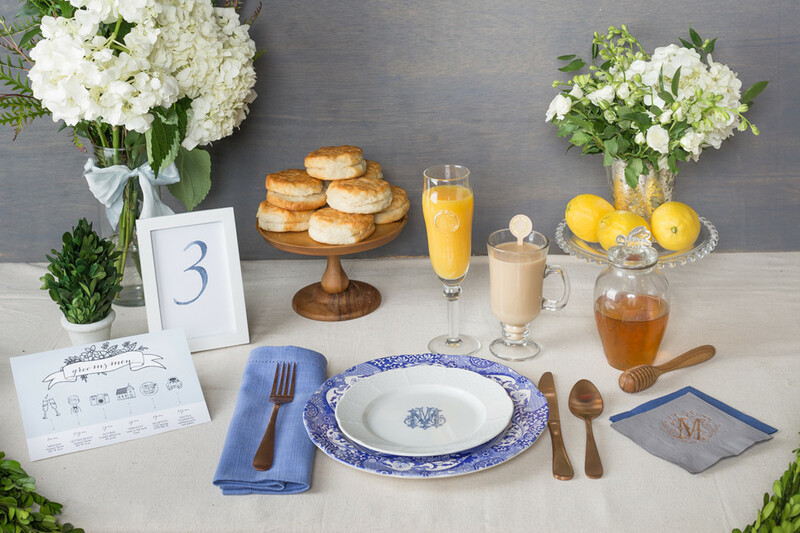 As a tastemaker for this edition, she curated a darling Southern brunch theme to put a new spin on the traditional rehearsal dinner.